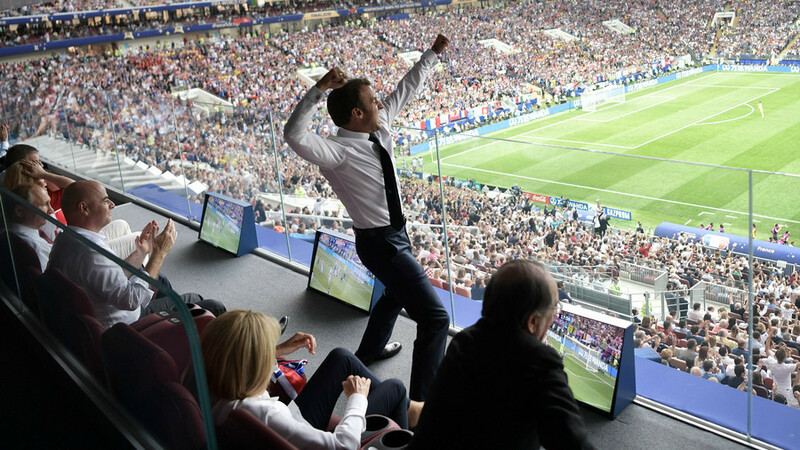 French President Emmanuel Macron couldn’t contain his joy as France beat Croatia 4-2 to win the World Cup at Moscow's Luzhniki Stadium on Sunday. 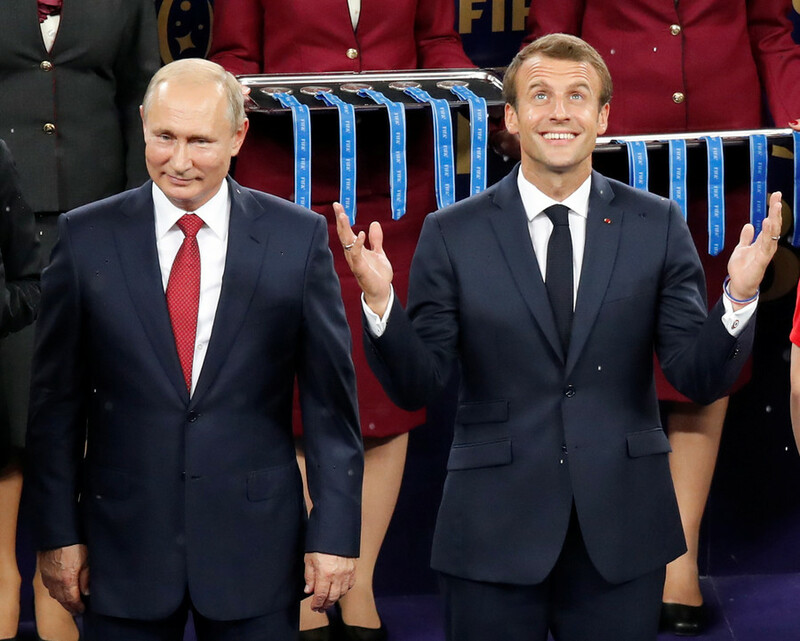 Macron was among the dignitaries in attendance in the Russian capital – including Russian President Vladimir Putin, Croatian leader Kolinda Grabar-Kitarovic, and FIFA chief Gianni Infantino. France ran out 4-2 winners thanks to an own goal from Mario Mandzukic, a penalty from Antoine Griezmann, and second-half goals from Paul Pogba and teenage star Kylian Mbappe. Macron dispensed with all formality in celebrating the victory, at one point jumping up in front of the watching dignitaries, jacketless and thrusting his arm into the air. Croatian leader Grabar-Kitarovic also appeared animated throughout the game, although her team ultimately went down a brave defeat after a stunning run to the final which made their nation proud. 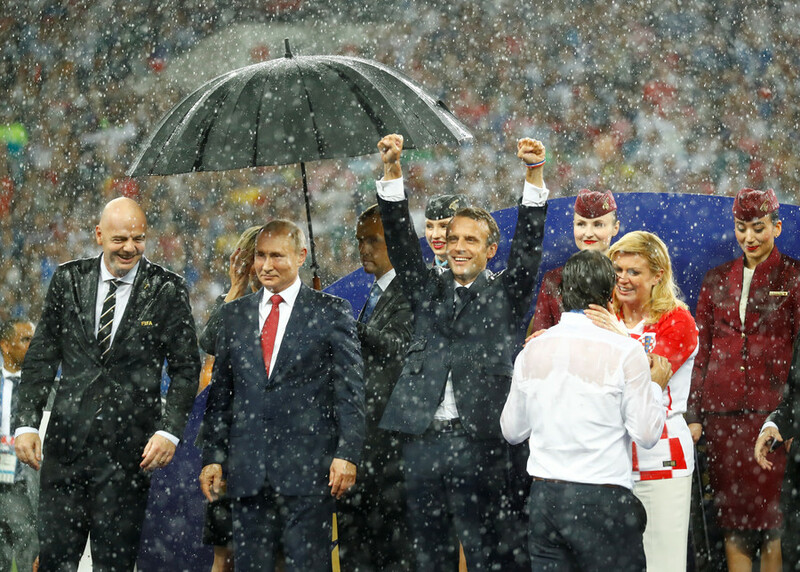 Macron was also on hand at the presentation ceremony at the end of the game, during which the heavens opened in Moscow, drenching the players and politicians assembled to hand over the medals and trophy. Still in high spirits, Macron didn’t let that bother him and proceeded to shake the hands of the French players on their way to collecting the golden trophy, beaming ear to ear.